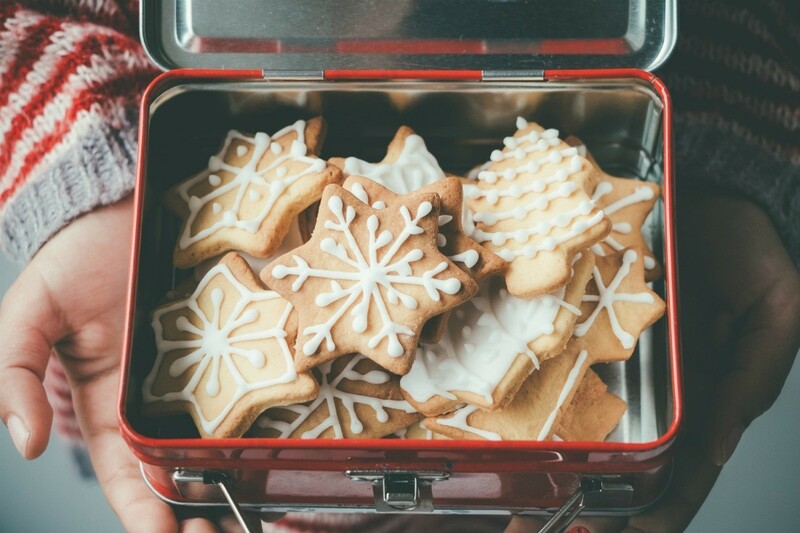 Rather than giving more stuff to family and friends it can be fun to make and give a variety of food gifts, from sweets to soup mixes. 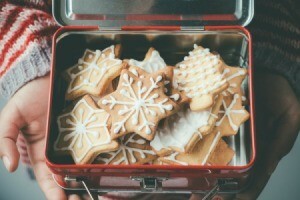 This guide contains some food gift ideas for Christmas. Our church had an auction to raise monies for a foster children camp. 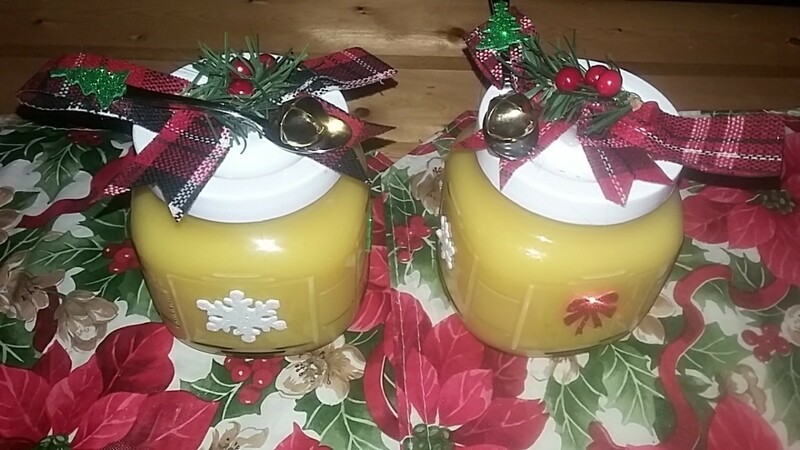 I make lemon curd for tea parties and, instead of filling mason jars with the lemon curd, I found the jars and decorations at the Dollar Tree. I glued the ornament on the lid, placed a plastic demi spoon on the decoration. A yellow tag will be put on jars: "Lucious Lemon Curd". This celebration auction will benefit 30 foster children. It is a joy to be a part of this camp and see the happy children. 1/4 cup unsalted butter, cut in cubes. Mix all the ingredients together in a double boiler with the exception of the butter. Stir constantly until you can run your finger over a wooden spoon and the mixture will separate. Place cubed butter in a large mixing bowl, strain cooked curd into the butter, allow the butter to melt, then whip vigorously until smooth. Place a piece of waxed paper that has been cut to the jar size and place it onto the curd to prevent a skin from forming. Tighten the jars and refrigerate. I am looking for help with Christmas presents. I have no money to spare for gifts for family. I work a part time job and my husband is disabled with no income at this point. I do have food stamps to use but what do you give an 18 year old or 25 year old-both boys. One is on his own and the other is in college. Or parents who have everything? Any suggestions would be welcome. My husband, who adores cookies, loved the cookie tree I made for him. Stained glass cookies (made with Jolly Ranchers-see marthastewart.com) are most impressive on a lighted tree. Also, my boys love snack mixes they can munch on while playing video games. If your sons are gamers, and you can manage 10 dollars, Wired Magazine is a nice, inexpensive year-long gift and includes computer and gaming news. You can also find very nice books at second hand shops. Other much-loved gifts are truffles made from chocolate chips and fudge. Google Rachel Ray's fudge wreath for an easy recipe (and last year Target had a fabulous sale on baking chips, all flavors, prior to Christmas). Save money by omitting the nuts unless you already have some. In fact, some kids prefer fudge without them. Do you have a food dehydrator? Most all boys love beef jerky, you could make lots of beef jerky in different flavors like teriyaki etc. Even dehydrate fruits like banana chip,s pineapples, etc. Put them up a basket with all those wrapped in colored clear wrap. Add a dvd from walmart for $5 that they like. I'm 24 and my boyfriend (and most of our friends) are tight on money as well. I would suggest a small bag or basket with snacks in it also. For example, a bag of microwave popcorn, Pringles, Snickers, Jerky, maybe a $5 gift card to a fast food place. Homemade cookies or Chex Mix. My friends always appreciate chex mix. Almost all college age kid needs money and food. So snacks are a safe bet. One year when we were ALL quite poor, I asked everyone what they would like me to cook/bake for their Christmas gift. One brother-in-law wanted a pan of my biscuits all to himself. We all had a great time and we all got something we really wanted. Great gifts do not have to be a surprise. I would like to share what I did a few years ago for our grown children. I decided on a few recipes that I knew that were their favorites and bought all the ingredients for that particular dish, wrapped it along with the recipe together and gave each about 3 or 4 "Meal Kits". They were a big hit for when they want a home cooked meal and all they had to do was simply put it together and let it cook. If the recipe calls for any perishable items you just put it in a seperate package marked perishable. One of the things I treasure is a cookbook of family recipes that my grandmother put together for me when I was about 10 or so. One could pick up a largish album or journal at the dollar store and give all those favorite recipes as a gift, in your own handwriting, and with commentary and photos as needed. When the actual food is long gone, the living history remains!